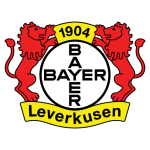 Bayer Leverkusen vs Hertha Berlin predictions for Saturday’s Bundesliga clash at the BayArena. Hertha Berlin hope to push into the Bundesliga top five when they face an improving Bayer Leverkusen side. Read on for all our free predictions and betting tips. Bayer Leverkusen managed to pick up a rather impressive victory in midweek when they paid a visit to the struggling Schalke, beating them 2-1 to continue their festive resurgence after a fairly disappointing first half to the season. The hosts now come into this game 10th in the Bundesliga table, 6 points adrift of the 5th place standing they secured at the end of last season and knowing that a good run of form is vital if they want to match that result again. In fairness to Leverkusen, they have put in some very promising performances of late. They have won 3 of their last 5 Bundesliga games and only lost once, and this hosting of Hertha Berlin provides an excellent opportunity for them to go into Christmas Day high on confidence. The visitors couldn’t manage to secure all 3 points in their midweek clash, with their 2-2 draw at home to Augsburg being another frustrating display from a side who have real potential. Hertha Berlin have now drawn 5 of their last 10 Bundesliga outings and have only won twice, dropping down the rankings to their current 8th place standing. After such a promising start to the season this is undoubtedly an anticlimax for the fans, but there is plenty of action left in the Bundesliga and they are still only 3 points adrift of the top 5. Something we can expect on Saturday is plenty of goals. Bayer Leverkusen have seen 51 goals in their 16 league matches so far, and Hertha Berlin’s tally is only slightly lower at 49 goals. Additionally, there have been a massive 23 goals scored in the last 6 meetings between these sides, averaging 3.83 goals per game and seeing both teams score in all but one of them. Bayer Leverkusen have scored in all 7 of their home games this season but have shipped 13 goals at the other end, while Hertha Berlin have scored in all but one of their away days as well. We’re expecting an entertaining game at the BayArena, so we’re backing Over 2.5 Goals and Both Teams to Score alongside a 2-1 win for Bayern Leverkusen. Each of the last 10 Bundesliga matches between Leverkusen and Hertha have had a winner. The sides haven’t played out a draw since April 2012 (3-3). Leverkusen have taken 10 points from their last five Bundesliga games, one fewer than their previous 11 matches combined (11). The Werkself are currently 10th – their best ranking of the season. Leverkusen have ended just one of the last five calendar years with a Bundesliga victory (1-0 in Ingolstadt in 2015, otherwise D3, L1). Leverkusen are unbeaten in four competitive home games (W3, D1), conceding just one goal in the process. Leverkusen’s Lucas Alario netted his second goal of the season vs. Schalke in midweek. The Werkself are yet to lose a Bundesliga game in which Alario has scored (W8, D1). Hertha BSC have ended four of the last five calendar years with a Bundesliga victory (also 5-0 defeat to Hoffenheim in 2014). Hertha have won just one of their last seven Bundesliga away games (2-0 vs. Hannover on matchday 13, otherwise D3, L3). 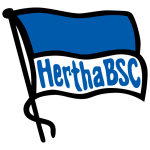 Hertha boss Pal Dardai is on the verge of his 50th Bundesliga victory in charge of the club (W49, D36, L48 in 133 games to date). Only two men have previously reached the 50-mark in charge of the Berlin natives: Helmut Kronsbein (89) and Jürgen Röber (70).